John’s Note: Kevin Caudle of Gum Pond, Alabama, has been fishing for and catching the southern strain of saltwater stripers in Lewis Smith Lake in north Alabama for 12 years. 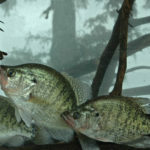 Lewis Smith Lake has been designated as the repository for the pure gulf strain of striped bass – fish that once lived in the Gulf of Mexico, moved into brackish waters along the Upper Gulf Coast, swam up the river systems into fresh water where they would spawn and then returned to the Gulf of Mexico. 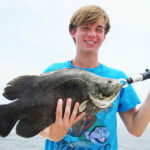 However, since most of the major river systems along the upper Gulf of Mexico have been dammed-up, the stripers have been prohibited from moving to fresh water. 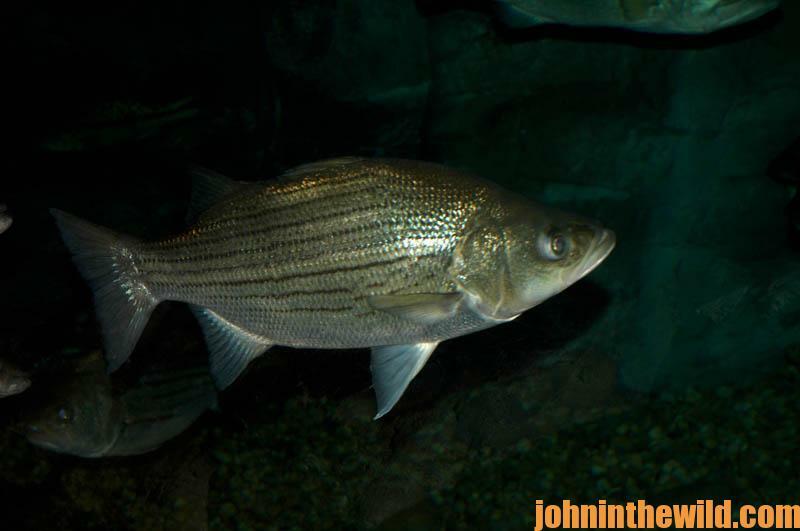 A remnant population of these Gulf Coast stripers was captured and artificially spawned in fish hatcheries to restock into their native habitat. 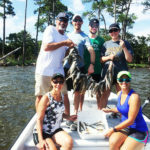 The Gulf Coast strain of striped bass is much-more heat tolerant than the Atlantic Coast strain and has the innate ability to find cool-water refuges during hot summer months. To keep and perpetuate this strain of Gulf Coast stripers, the deep, cold, clear waters of Alabama’s Lewis Smith Lake were chosen. 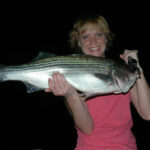 “The standard procedure for catching these Smith Lake stripers at night when they came out of deep water and fed on shad near the surface was to try and locate a dock with lights shining down in to water close to a deep creek channel or the main river channel. These lights attracted bait fish, especially shad. Then I’d troll around the edges of those lights with live shad to catch the stripers. This technique still works today. But there is a problem. 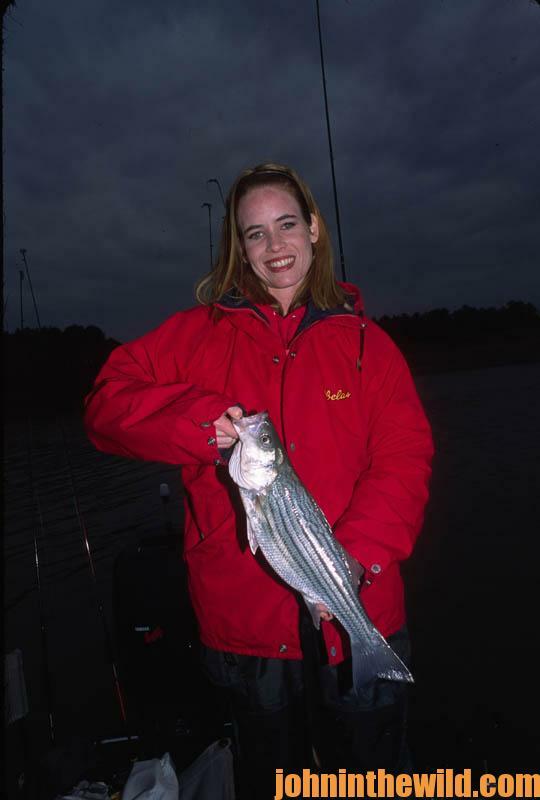 Once I located a productive dock where I could concentrate and catch good numbers of stripers, the next time I returned to that dock light, the light might have gone out or been turned off. So after being frustrated, I decided I wanted to learn a way to use my own lights to concentrate bait fish in the areas where I knew stripers were holding. Then I wouldn’t have to depend on dock lights. 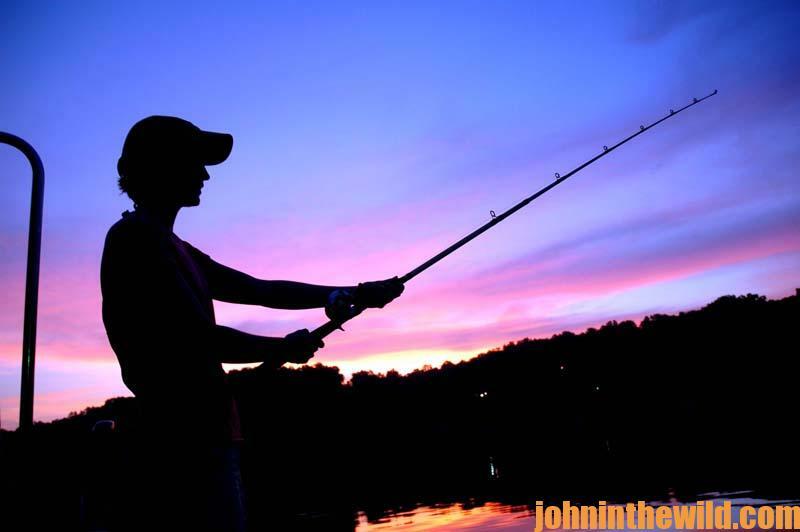 “Finally, I located a company in Texas – Enlightened Outdoors – that had a product called the Bait Snake Fishin Lights (www.baitsnake.com). I read the company’s literature and watched its videos. I discovered that this light was a very-flexible tube-like light that would light up green. I also watched Ken Malone, who owns the company, take a 4-foot Bait Snake that was turned on and slap it on a concrete boat ramp. Since the light never went off, I knew it was durable. Next he threw that light that was clipped onto a battery out in the water. The light stayed on, didn’t leak and didn’t short-out. The light didn’t float but rather sank, which was what you needed if you wanted an underwater light. “Also, you have the option of using different lengths of submersible lights and various lengths of submersible electrical cords attached to the lights to enable you to put the lights in different water depths. These lights run off low wattage. So, I don’t need to carry a generator with me when I’m out for a night of striper fishing. The lights attach to either the battery of your trolling motor or the one that starts your boat. I ordered three of these lights and learned the first time I used them that we had plenty of bait fish right up next to the boat. We caught a number of stripers that first night. 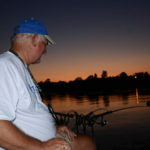 To see and listen to Caudle better explain how he uses the Bait Snake Fishin Lights to put clouds of bait fish out on the main river points where he catches stripers, go to https://youtu.be/HGMpUE4JIgs.